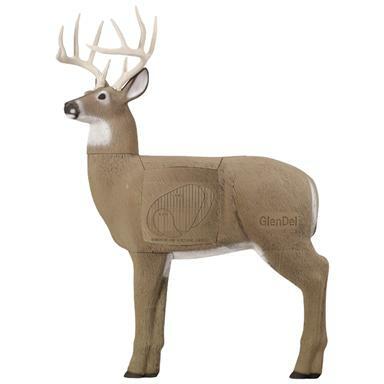 Get realistic practice for trophy results in the fall with The GlenDel® Full Rut 3-D Buck Target, Slight Blemish! Slight cosmetic blemishes SAVE YOU BIG BUCKS! It's true practice makes perfect... but here's a case of a slight imperfection actually being a good thing! A good thing for your wallet that is. Now you can bag the ultimate Big Buck Target for a fraction of the cost! The GlenDel® Full Rut 3-D Target stands a full 37" at the shoulders and has the body size of a 300-lb. live weight deer, adding realism to your pre-hunt honing. And this BIG Target features a BIG 14" x 14" x 14" layered insert with 4 different sides to shoot at. 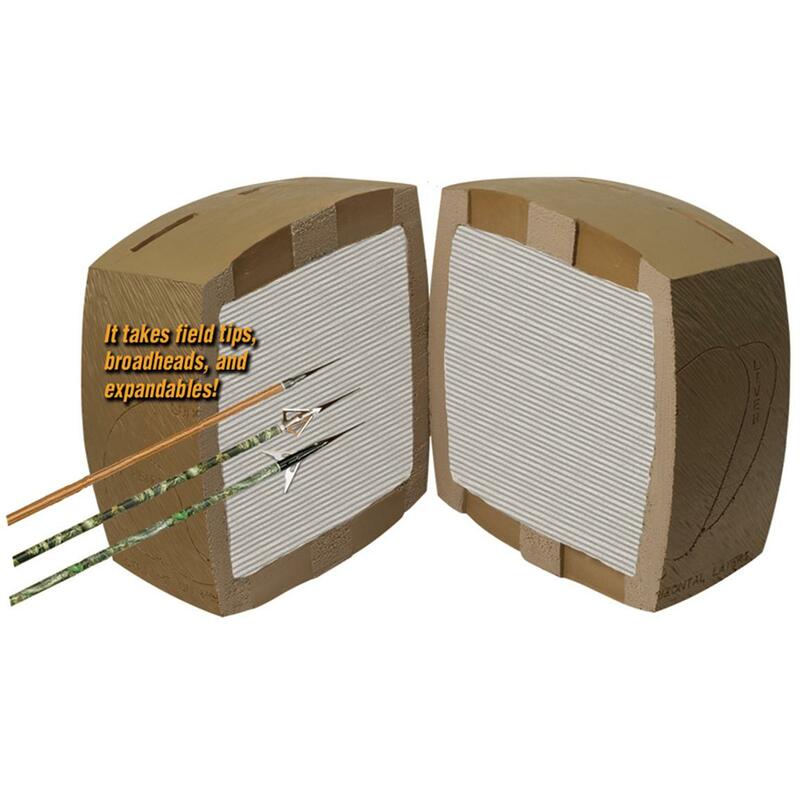 The open layers on the inside of the insert makes for a longer lasting target and easier arrow removal. Get your GlenDel Target today and bring home the big buck this fall! GlenDel Full Rut 3-D Buck Target, Slight Blemish is rated 4.4 out of 5 by 9. Rated 4 out of 5 by vilonia from improved The last one I bought had plastic legs. They didn't stay put very well while I pulled arrows, but hey didn't work loose until after almost 2 years of shooting. I like the new legs better. This target had a broken ear and the antlers were too loose. A few screws and some silicone adhesive fixed that. It;s also a little bigger overall. Rated 5 out of 5 by mrmogambi from Not breathing The only defect I could see was that the target was not breathing, everything else was perfect. There may be a blemish on the target somewhere but I'm going to be shooting the tar out of this thing anyway with a bow and a rifle. Great deal ! Rated 5 out of 5 by Tommy D from Great price Very well built and holds up to a lot of shots. Rated 5 out of 5 by RANDY from The target was suppose to be blemished but I could not find anything wrong with it. Rated 5 out of 5 by BRIAN / ANDREA from The product was exactly as discribed and shipped promptly. I am very satisfied and look forward to my future purchase.